Every corporate business needs a perfect match for its credibility, and credibility comes with professional appearance. This is the reason why most of the business companies are moving in large numbers towards WordPress. It is the combination of easy to use, hassle free, for non technical people to manage great sites. WordPress also has some over-whelming advantages of Search engine optimization which gives floods of traffic and increases your sames along with your business. Its not a big leap to understand what advantages SEO could bring to a business. WordPress is among the fastest growing content managment system, over 25 billion websites are hosted on WordPress. Since, WordPress is an open source platform. it has millions of FREE and paid plugins, themes and other opt-ins for further development. After going though the buzz and talking, its time for you to take your business to the next level with WordPress. Its worth to look at some of the best and dashing Business WordPress Themes we have compiled for small and large business corporate. 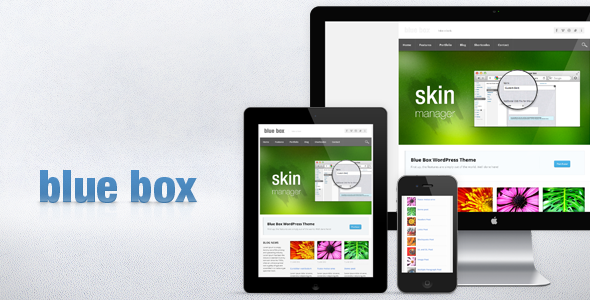 Avada is number one selling Responsive and multi-purpose theme on themeforest.net. It has some decent and remarkable features that gives it the flexibility to become either corporate, blog or technology based site. 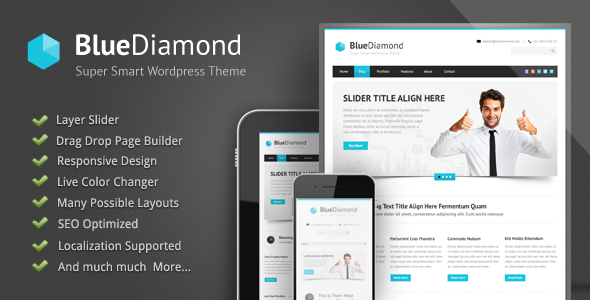 The theme has standard options with endless possibilities, to-notch support and free-lifetime updates. What else you need? U-Design is powerful yet suitable for people who are not into programming background as well as advance developers. It will have you build your site in no time with your liking and minimal efforts. It has 6 different homepage layouts with slider to amuse you every time. 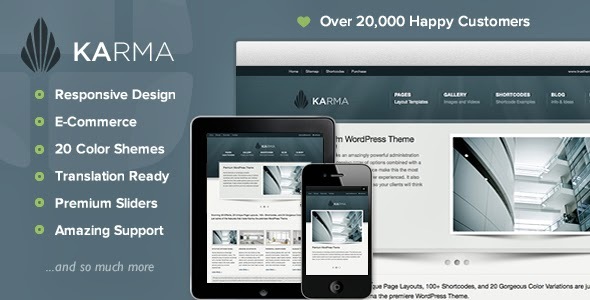 Karma is a premium looking WordPress theme build with an intelligent framework. 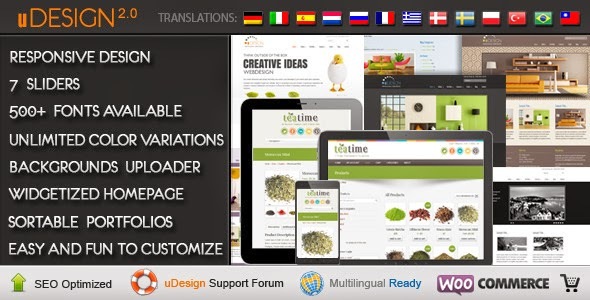 It has been featured on Themeforest several times. Whether you are just a newbie or a PRO WordPressor you will find it extremely simple to customize without facing any bug or error. 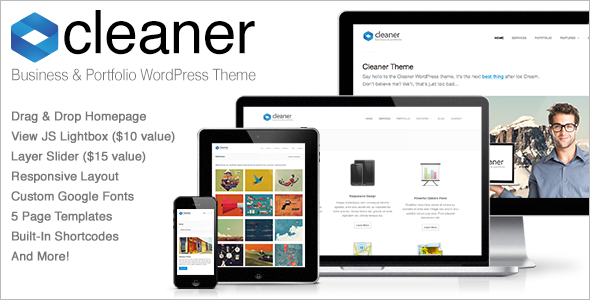 Cleaner is a corporate and responsive business and portfolio based WordPress Theme. It has clean and sleek layout which gives it more credibility and far better experience than other themes. Clearer has great built-in options like e-resume, online portfolio, agency, small business, entrepreneur and other professional websites. Blue box comes with an amazing set of options. Allowing you to add excellent functions through just one drag and drop functionality. It is a complete framework for business based website, giving you the freedom to build something unique out of nothing. You business is something that represents you with your clients are looking for the perfect satisfaction. Therefore this theme supports some handy and amazing feature carefully build for business based sites, web blogs and web forums. 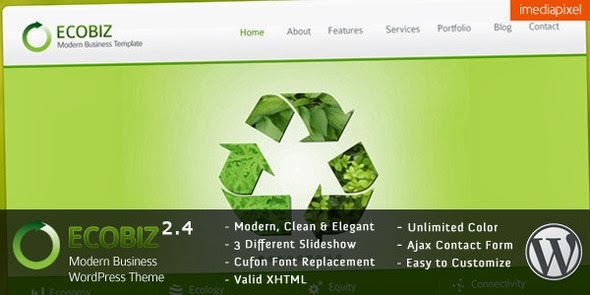 Ecobiz is a clean and Eco-friendly business, modern and corporate business WordPress theme that can be changed from Eco/green business and portfolio style theme. It has 6 pre-defined skins that would provide you some extra flexibility to choose between the best style which fits your company perfectly. BlueDiamond is perfect combination of class and professionalism. It has some great, new and old feature that would rock your brand. 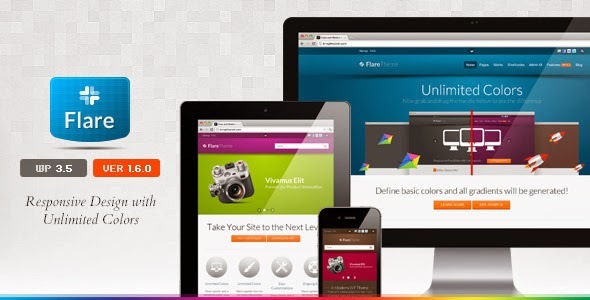 Flare is responsive, elegant and has unlimited colors made for your business and corporate website. That's it folks we hope you enjoyed the 10 Dashing and Responsive WordPress Business Themes collection we complied for you. Still there are a lot of WordPress themes available on the internet all you need is to choose what fits your brand perfectly.